Southern Colorado's Premiere Electric Bike Company! 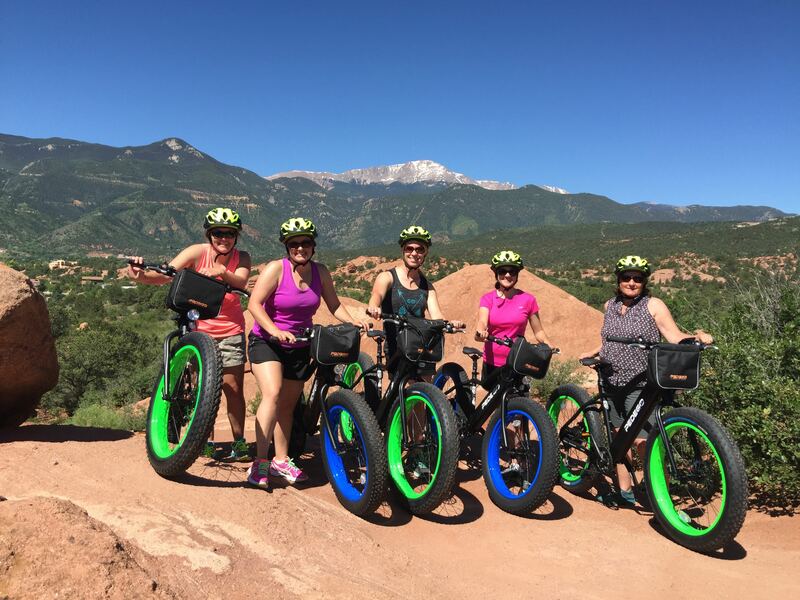 Join us for an awesome tour of world famous Garden of the Gods Park, or sample some flavorful local craft beers on our "Bike-n-Brew Tour". Maybe, you'd even like us to customize a tour just for you! Smiles Guaranteed! Rent one of our amazing electric bikes for a unique way to see the many local sights. Hills, wind, and altitude are no longer a challenge for visitors - and riders of all abilities will find them easy and exciting to ride! What are you waiting for - grab some fun! 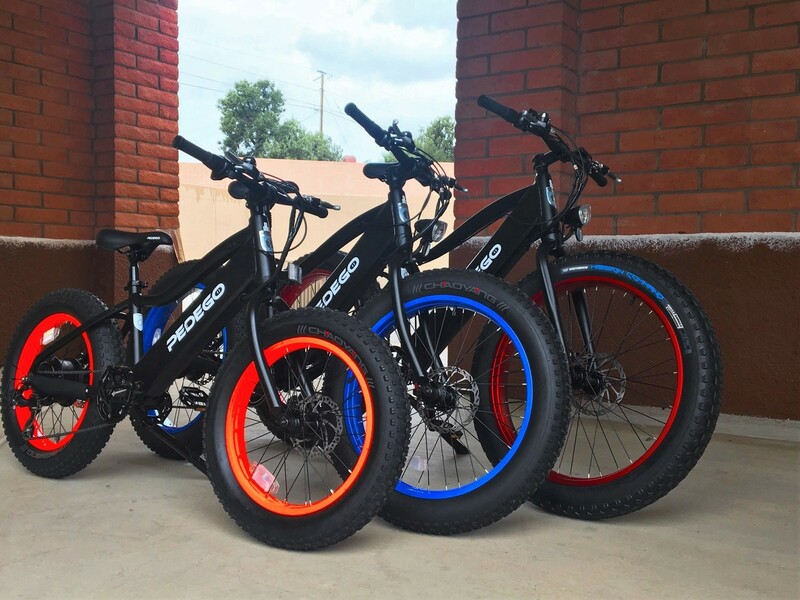 As Southern Colorado's only authorized Pedego Electric Bike dealer, we have over a dozen different models of e-Bikes in a wide assortment of colors and styles - all waiting for you to test ride and take home with you! Come see why Pedego is the number one selling electric bike brand in the USA, and why our motto is: "Hello, fun" !!!! This is one of the best adventures I've ever had with my son. First, mark was a terrific guide. Helpful, patient, knowledgeable, funny. The electric bikes are awesome! Easy to ride, easy to learn! Highly recommended! This is a must do! Bikes are top notch, views are amazing, tour guide makes it all worth it! The e-bike made it super easy to climb hills and enjoy the views! Will do it again when we come back!! Loved everything about it! Thorough staff made it excellent!! My husband and I are on a babymoon and wanted to enjoy a fun outdoor adventure. 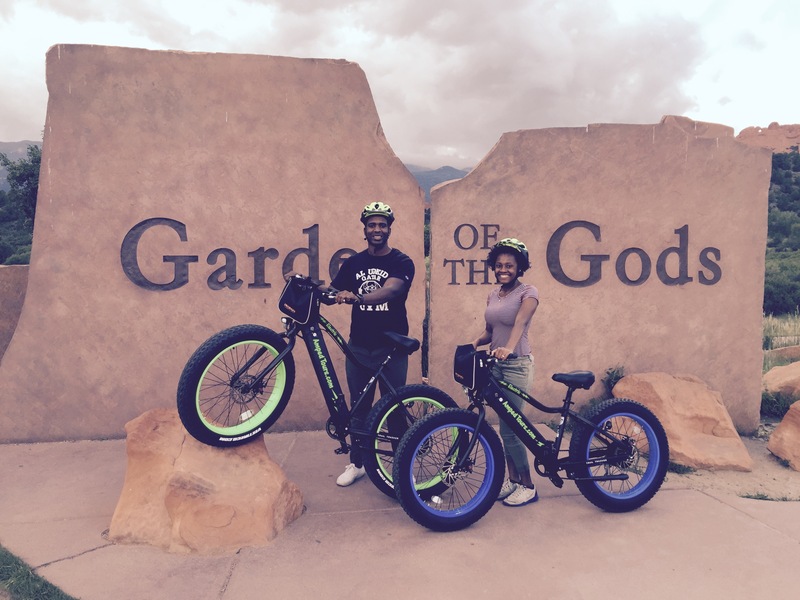 The tour of the garden of the gods on the e-bike was absolutely incredible. The views, the service, the e-bikes; everything was perfect! Highly recommend!